At Northgate Dental, our practice is built around your smile. 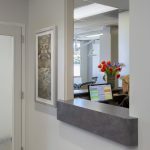 So it's no coincidence that we focus on providing the latest in dental crown technology combined with comfort and convenience in a modern office space. This dental treatment model of technology, knowledge, and experience supported by a friendly and caring staff is what we do best. 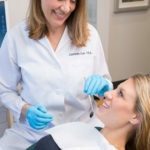 As a leading dentist who has built her reputation on skill, compassion, and knowledge, Dr. Cox uses the latest in dental crown technology to improve a patients experience before, during and after their visit. 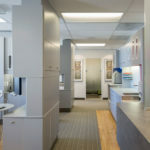 Cerec Same Day Crowns, safer Digital X-rays, Intra-Oral camera and quieter electric drills are mainstays in her office. And to improve accessibility for her patients online she modernized her website to reflect those needs in every way. 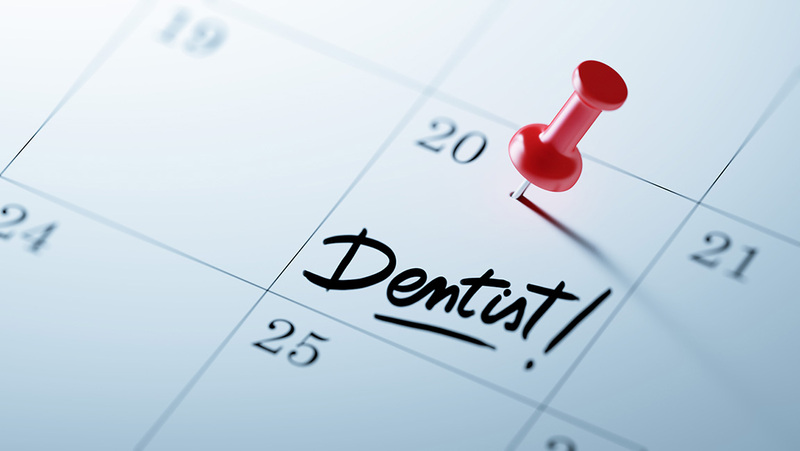 From the appointment scheduling to the professionally applied treatment, our practice is truly built around your smile. 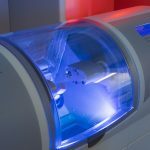 CONVENIENT SAME DAY CROWNS: At Northgate Dental, we are proud to be one of the few local dentists who provide Cerec Same Day Dental Crown technology. This allows you to avoid waiting for 2-3 weeks for your crown to return from a lab. We create a strong, customized, tooth-colored ceramic restoration right here in our office. One appointment, one amazing result. USING THE CEREC CROWN SYSTEM we make your crown in a single appointment and the aesthetics are beautiful. 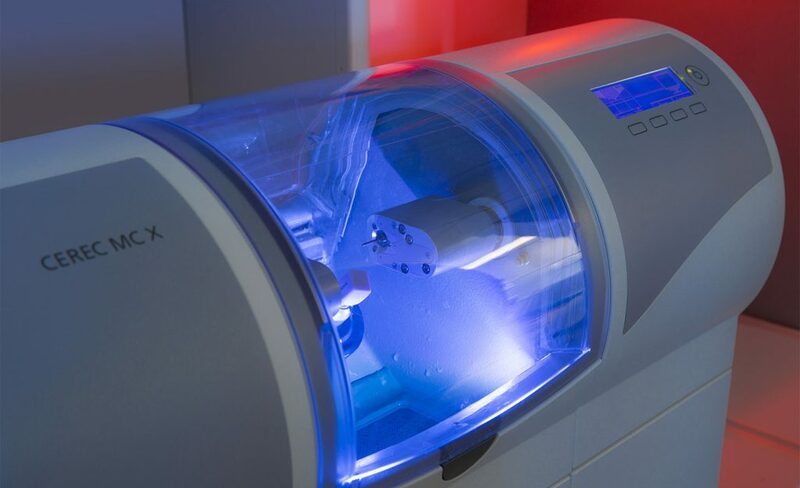 In the course of one visit, we can diagnose and prepare your damaged tooth, create an optical impression of the tooth, and use Cerec to design and mill a precision restoration. The crown is permanently bonded to your tooth, creating beautiful esthetics and function. 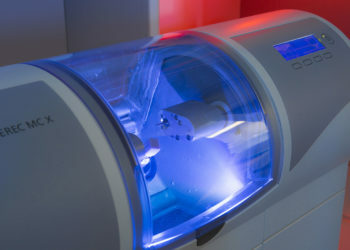 With the Cerec Same Day Crown system, your tooth is restored in just two hours. Proof that our practice truly is built around your smile. DIGITAL X-RAYS ARE SAFER: Radiation from digital x-rays can be as little as 10 percent of what patients would be exposed to with film-based radiography. Digital x-rays are one of the most important new advances our profession has seen in some time. 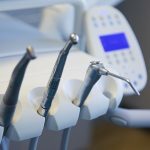 AT NORTHGATE DENTAL we now use the safer digital technology exclusively. The ability to reduce the exposure of radiation to the patient while increasing diagnostic proficiency has astounding implications. 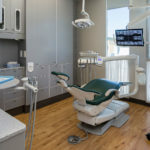 The reduction of the use of harsh chemicals and other waste materials associated with traditional x-rays is also an added benefit to our environment. COMPARING RADIATION: A traditional chest CT-scan exposes a patient to 2,800 times the radiation as a digital dental x-ray. Surprisingly, you can get the same amount of radiation as one of our digital x-rays from eating about 50 bananas. SEE MORE WITH THE INTRA-ORAL CAMERA: Making your visit to the dentist easier and more informative is the goal of the Intra-Oral Camera. 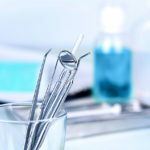 It allows patients to be more interactive in the exam process, which provides them with a greater sense of understanding and responsibility for their personal dental health. 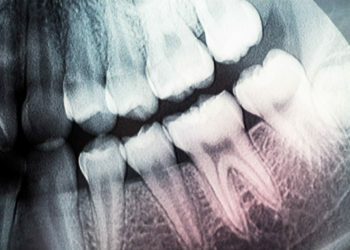 EARLY DETECTION OF DENTAL HEALTH PROBLEMS: The Intra-Oral Camera enlarges an image of the teeth to more than 40 times their actual size on a full-color screen display. By zooming in on problem areas we are able to see much more than before. 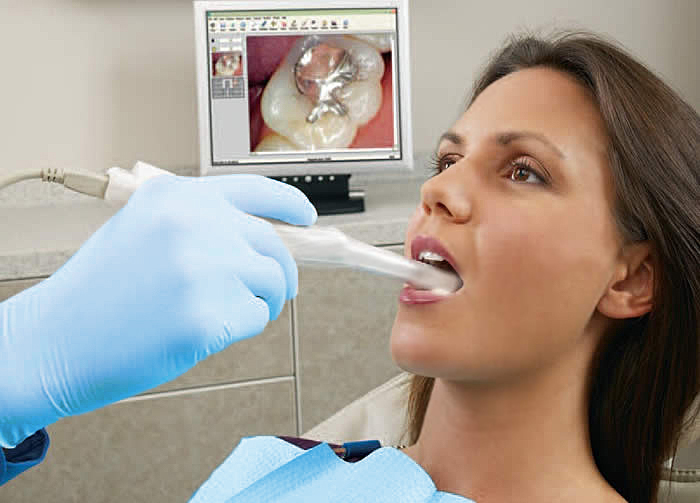 The patient sees exactly what the dentist sees on an in-office screen. We can pause on a particular tooth or area of the mouth to point out problems and explain possible treatment options, take a picture and record the findings. This allows the patient to ask questions and become a part of the examination process.